Looking for a gift for a friend, neighbor or family member? 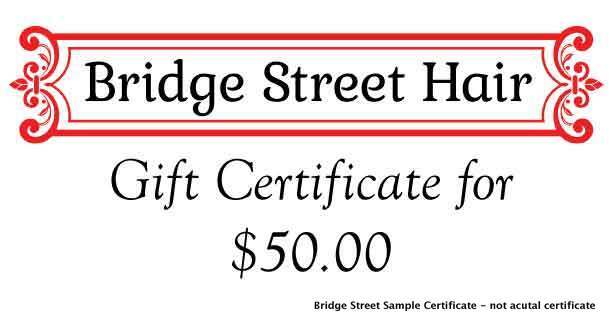 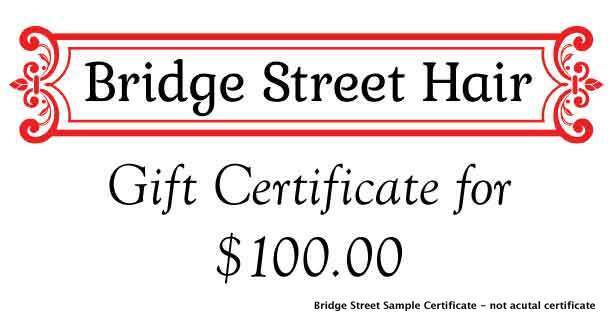 Bridge Street Hair gift certificates are available online or in the store and offer clients freedom to choose their perfect gift! 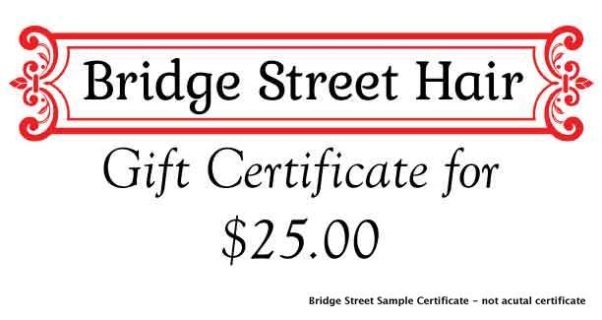 Bridge Street Hair Gift Certificates entitle the owner to purchase products and services at our salon. 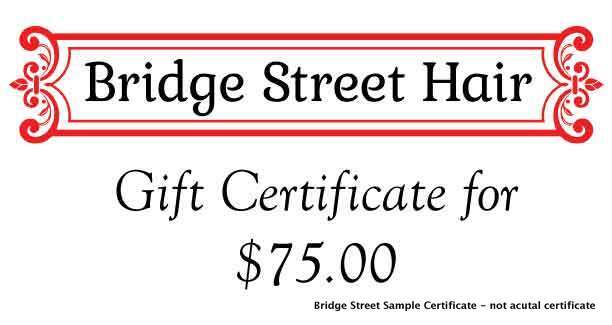 Order your gift certificate online and you will receive an email or a hard copy version of your gift certificate which can be used at any time.